In response to environmental concerns, car manufacturers like Tesla are leading the way in the developing electric cars to reduce emissions. Older automakers like MINI and Volkswagen have refused to be left behind on the electric car front and have started to give their classic models an new electric twist. 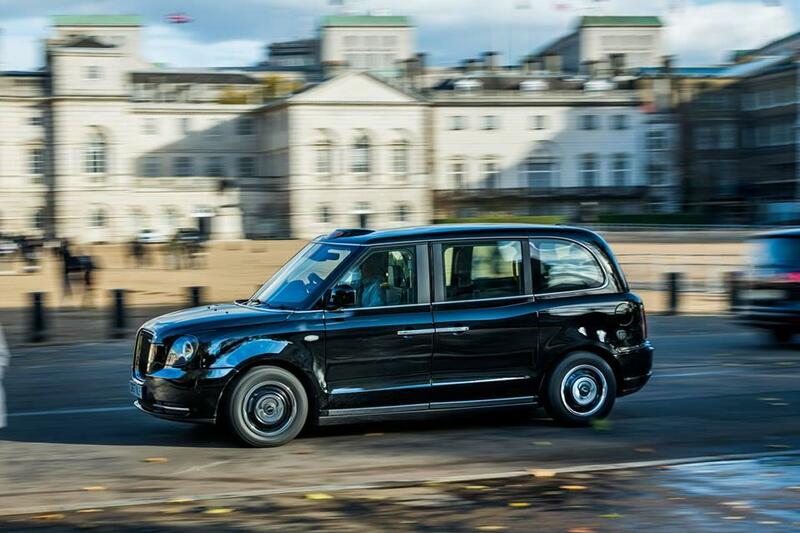 Now the iconic London black cabs are also getting electrified. The new cars come with all the bells and whistles a passenger could hope for including WiFi, USB charging, easy to use card machines and a spacious interior with six seats. In a crowded city like London, it’s also good to know that the cars have filtrations systems to purify the cab’s indoor air. Inspired by the 1984 FX black cabs, these vehicles were intentionally designed to emulate the iconic London cab look while incorporating new features. For example, the body is entirely made of aluminum and includes an electric engine accompanied by a 1.5-liter petrol range extender. The electric range on a single charge is about 80 miles. Once switched to the petrol engine, the car can go an addition 400 miles. According to The Guardian, the average black cab travels for about 120 miles a day so cars will be running on electric power for the most part. One common concern raised by cab drivers is the issue of recharging the cabs since there are not many stations at the moment. To support the fleet and ease range anxiety, a charging station network is being built and will begin at Circus West Village. According to the BBC, London’s mayor Sadiq Khan has commented on the development of electric charging stations which are going "to rise dramatically, with over 130 locations currently being worked on.” If the development plan continues on schedule, there should be 300 charging stations by 2020. Another concern raised by drivers is the cost of the new high tech cabs. Coming in at about £50,000, they're more expensive than a petrol equivalent which would be about £45,000. The car makers, London Electric Vehicle Company (LEVC), point out that these cars need less maintenance and thus require fewer upkeep costs. More importantly, these new cabs will have long-term savings on fuel of £100 per week. The safest ride and the greatest guide #londontaxi. The recent launch of the new London cabs occurred just before new government rules requiring cabs to be hybrid or emission-free were released. Apart from this London fleet, the company is also looking beyond England and plans to release electric cabs in other major cities around the world. In the meantime, the company will continue to produce more cabs for London and 9,000 electric taxis are expected to be driving throughout England’s capital by 2021.